I haven’t met a child yet that doesn’t like cheese crackers! These are perfect for kids. They aren’t spicy and are low in salt. 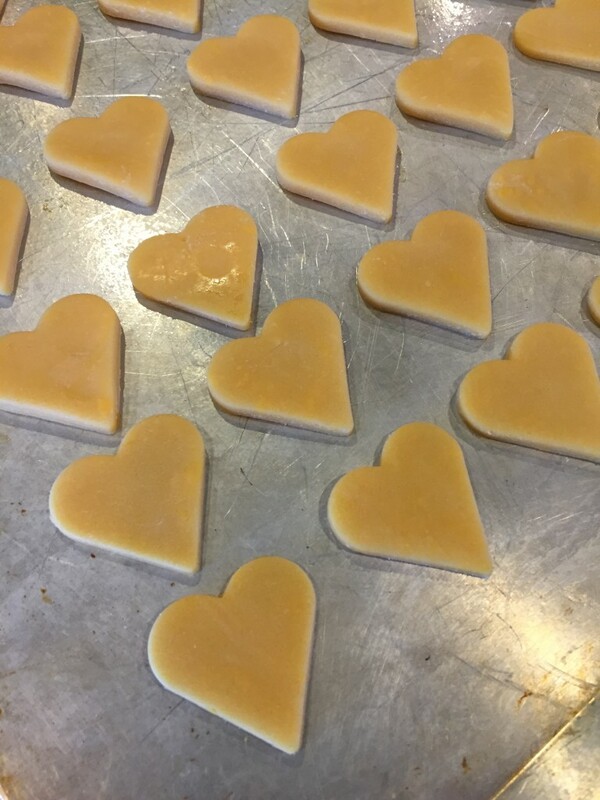 This batch was done with my heart cookie cutter but don’t stress about a certain shape. You can simply use a pizza cutter and make a million squares. I can promise you, whatever shape you end up doing, the kids will love it! Grate 1 8oz block of the sharpest cheddar you can find. I use “extremely sharp” cheddar. Then grate 1 stick of cold salted butter. Add both to a stand up mixer with the paddle attachment. Mix for 1 minute. Next, add the flour and mix on low for an additional 5 minutes. It will start out crumbly but will form into a ball after about 5 minutes. 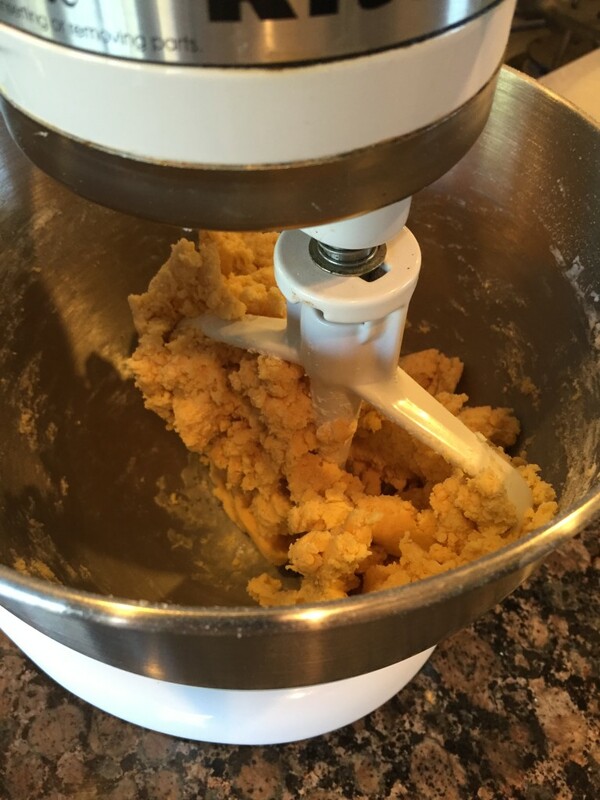 Remove the dough from the mixer and kneed for 1 minute forming into a 1 inch disk. 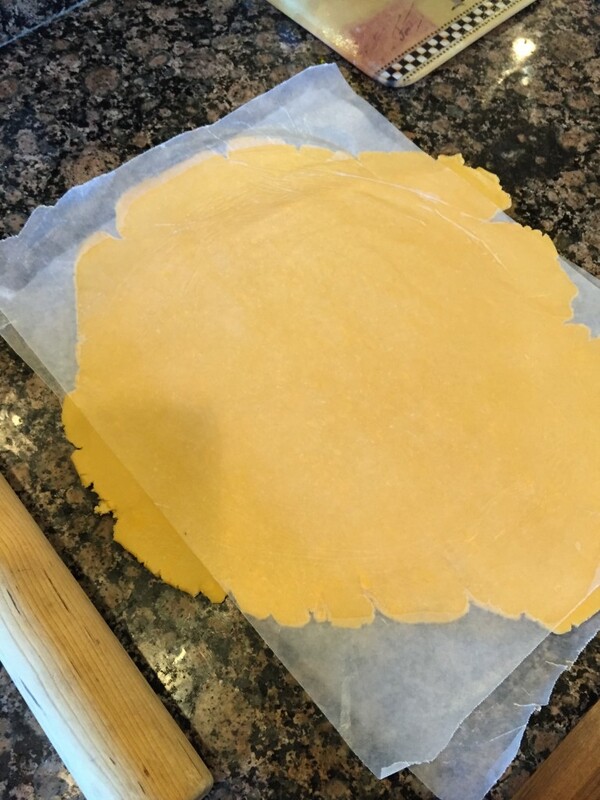 Place dough in between 2 sheets of wax paper and roll out to about a 1/4 inch thickness. 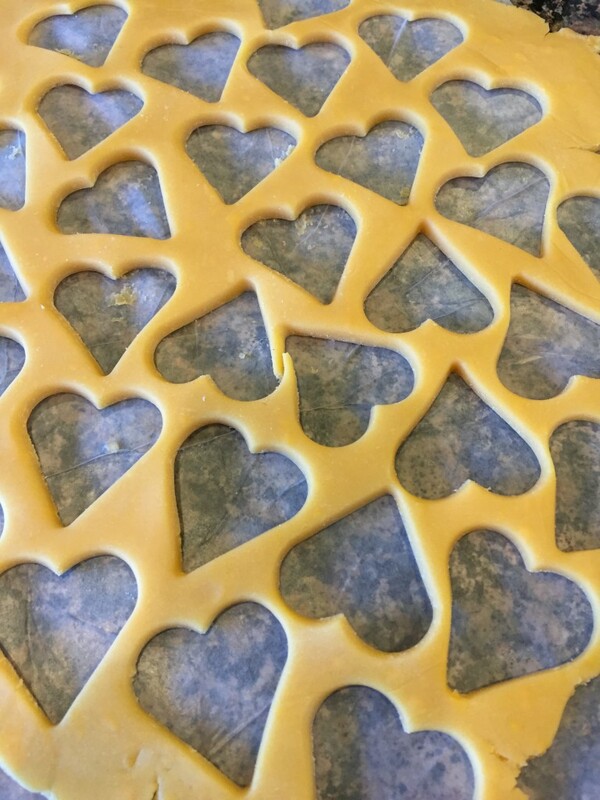 Using your favorite cookie cutter, cut out all crackers and place on a greased cookie sheet. Place in a preheated 350 degree oven and bake for 12 minutes. I make this version for my daughter because they are low in salt and not spicy. If you want to kick it up a notch, simply add 1 tsp of salt, 1 tsp of cayenne pepper and 1 tsp of garlic powder to your mixture before blending. Preheat oven to 350 degrees. 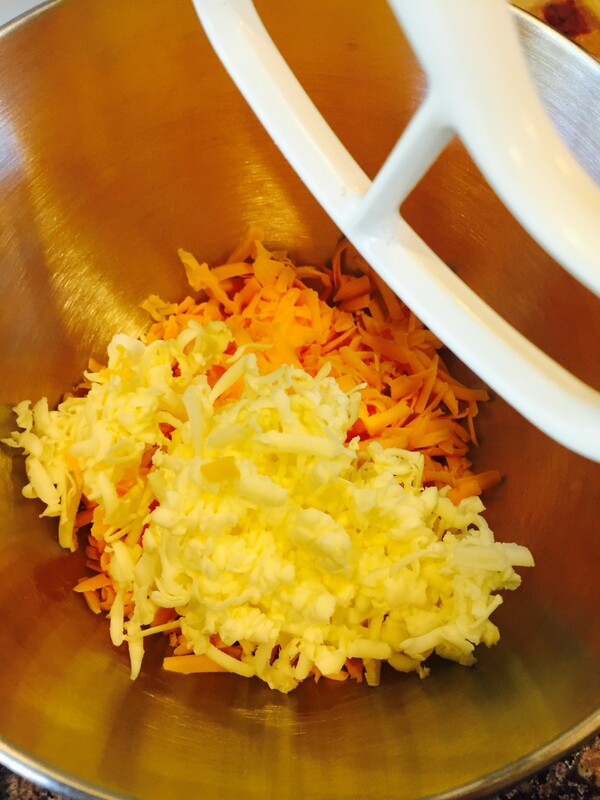 Grate cheese and butter and add to stand up mixer. Blend for 1 minute then add flour. Blend for an additional 5 minutes. 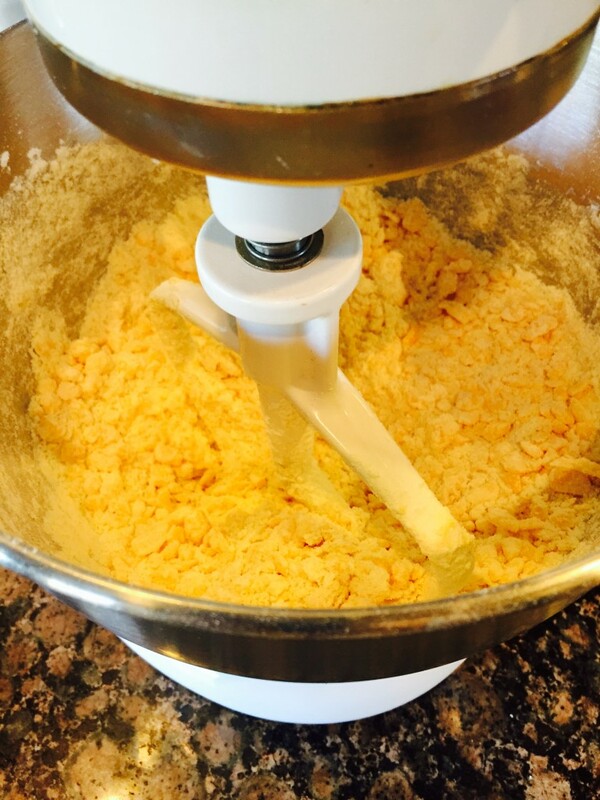 Remove from mixer and knead for 1 minute forming into a 1 inch disk. 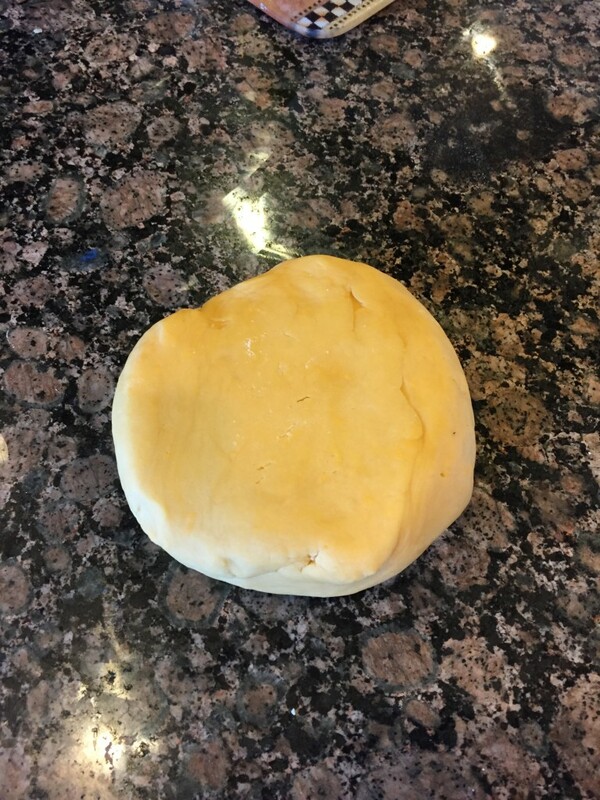 Place dough between 2 sheets of wax paper and roll out to about a 1/4 inch thickness. 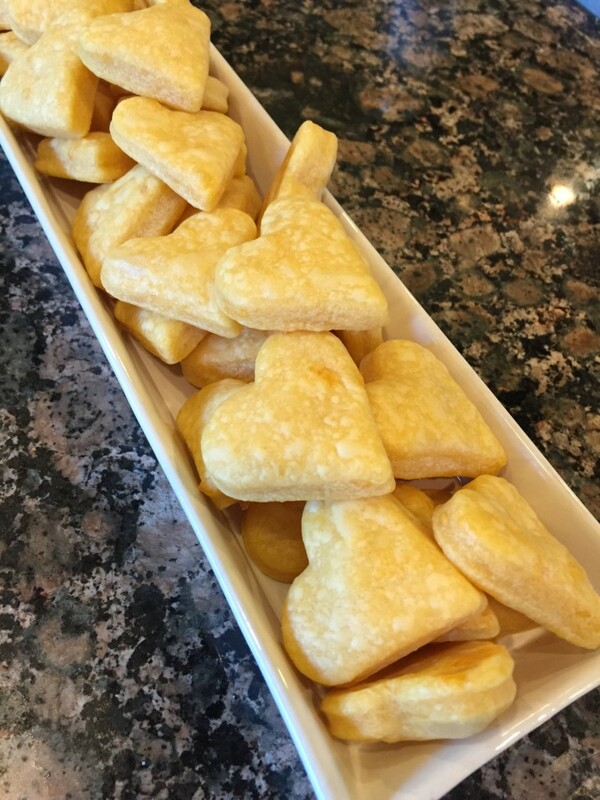 Using a cookie cutter or simply a pizza cutter, cut out all crackers (making them no larger than 2 inches in diameter) and place on a greased cookie sheet. Place in the oven and bake for 12 minutes.